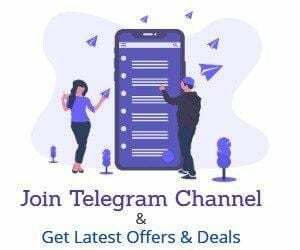 Paytm UPI Add Money Offer: Paytm is Come up with an Add Money Offer after a Very long time.Now Add minimum Rs.200 using UPI in Your Paytm Wallet and get Rs.10 Cashback in 24 Hours.The offer is valid for all users and cashback will be credited in 24 hours to 48 hours.The offer is valid till 28th Feb.You can avail offer once.So Guys If You don’t have UPI wallet then Just Create UPI using TEZ or Phonepe and Get Rs.51 to 200 Cashback on Signup. 1.Download Paytm App From Playstore if You haven’t downloaded it yet. 2.Now Login to Your account and Add Rs.200 in You wallet. 3.On Payment, option choose UPI as the Payment option. 4.Now Complete The Payment using UPI. 5.Once You paid You will get Rs.10 Cashback in 48 hours.